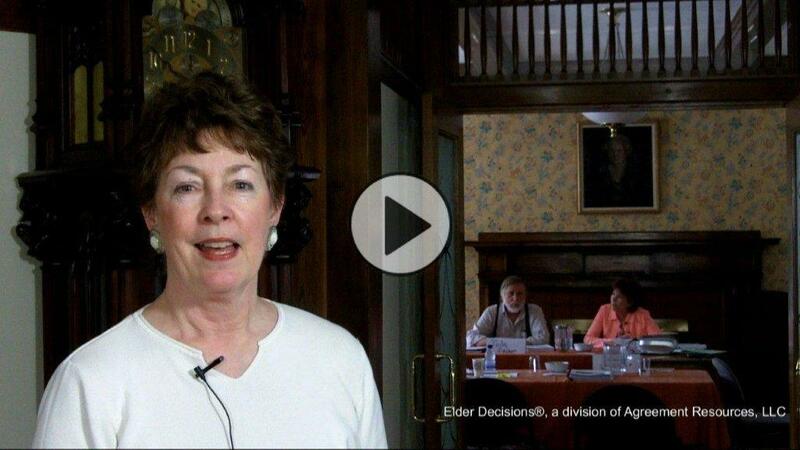 Elder Decisions: Adult Family Mediation - Caring Private Mediation for Seniors and their Families in Greater Boston, Massachusetts, and New England plus services via video conferencing nationwide. 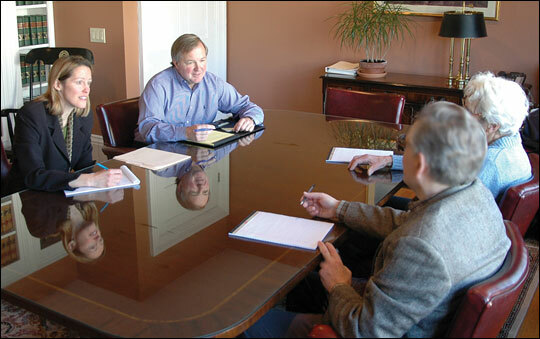 "Should You Hire an ‘Elder Mediator’?" "Elder-Care Mediators Help Resolve Feuds"
"Mediators Ease Decisions on Elders"
"Elder Mediation: Optimizing Major Family Transitions"
"When Aging Leads to Family Conflict"
"Sibling Squabbles Over Mom? 7 Tips for Getting Along"
"If Heirs Are Fighting, Try Mediation"
"Speak for Yourself, While You Can"
Changes in people's needs and roles as they age can impose new stresses on elders and their loved ones. Faced with these challenges, many families seek help to develop new ways of coping with evolving relationships and changing realities. Mediation provides an opportunity for the elder and all concerned members of the family to participate in creating a thoughtful plan for the future. 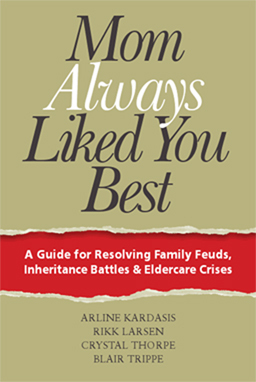 Often as family members age, family dynamics can become more entrenched and complicated. Conflicts that may have simmered below the surface can boil up and make family conversations very difficult. Siblings, dealing with differences in their own geographic, economic and immediate family structures often find working together to help their aging parents to be challenging. Thoughtful decision making can seem all but impossible. At Elder Decisions® we are aware of the stresses and challenges posed by aging family members. Caregiver burnout and inheritance issues are common in families and require difficult conversations. Health, financial and caregiving concerns are serious issues demanding that all family members weigh in with their views. As family members seek to equitably share the burdens and resources of the family, their individual perceptions of fairness are critical. Mediators trained in issues related to estates, eldercare and social gerontology can help facilitate family discussions about matters relating to safety, finances and capabilities while keeping in mind the senior’s desire for individual control and respect. If you or someone you know could benefit from structured assistance in family decision making, contact Elder Decisions® at 617-621-7009 or 866-736-9008. One of our partners will discuss your situation with you to understand the scope of the issues and the other parties whom you think should be involved. Following this, the other identified parties will be contacted for some further discussion, basic information gathering and scheduling. We recommend beginning the mediation process before a crisis occurs to ensure that thoughtful well-considered strategies for dealing with life transitions are put in place. Mediation can strengthen family ties and enable all family members to deal with the changing nature of their relationships in a way that provides peace of mind and leaves them with no regrets in the future. Elder Decisions® is a division of Agreement Resources, LLC. Elder Decisions® has been approved to receive referrals from the Bristol, Middlesex, Norfolk, Plymouth and Suffolk Divisions of the Massachusetts Probate and Family Court Department.